Charity Place – shall mean a place in the Event for which the Entrant does not have to pay the Event Fee (as defined below) subject to the Entrant’s commitment to raise a minimum of £100 for the Official Race Charities by the Fundraising Date. 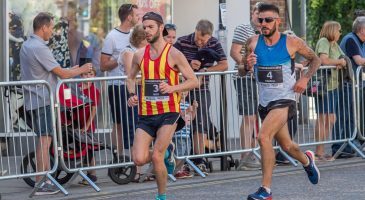 Event – shall mean the 10,000m road race taking place in Norwich city centre on Sunday July 21, 2019 as organised and operated by the Event Organiser. Event Pack – shall mean the information pack for Entrants containing relevant details of the Event. Entry Closing Date – shall mean Friday 31 May, 2019. Fundraising Date – shall mean Friday 19 July 2019. 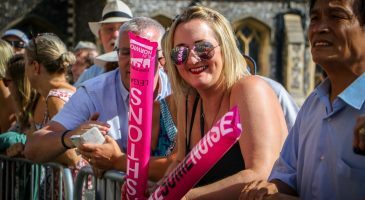 Golden Ticket – shall mean an official Run Norwich Golden Ticket, placed in ten Event Packs that are collected from The Forum, which entitle the bearer to a range of prizes. Personal Information – shall mean any personal details of an Entrant collected in connection with the Event. 1.1 Entries to the Event shall be made through Active Network. By following the link provided on the Event website, the Entrant will be directed to the entry page on activenetwork.com. In order to enter the Event, Entrants must submit an application form via the Active Network system in accordance with the instructions provided. By submitting an application form, the Entrant is agreeing to enter into the Event and also agrees to abide by these Entry Conditions and any instructions given to them by the organisers and officials of the Event. 1.2 Entry to the event shall be limited to the first 7,500 Entrants (including spaces reserved for sponsors and partners and Charity Places). Once 7,500 Entrants have entered and payment has been taken, entry shall be closed and no further person shall be able to enter. 1.3 Only one entry per person shall be accepted. 1.4 Any application which is not submitted by the Entry Closing Date shall not be accepted. Any applications which are illegible or incomplete shall not be accepted. 1.6 Participation in the Event is strictly personal to the Entrant; Entrants shall be prohibited from swapping or selling, or offering to swap or sell, their place in the Event. Any breach of this Condition shall render the entry void and shall entitle the Event Organiser to exclude the Entrant from participation in the Event or any future events. At any time prior to the Entry Closing Date, Entrants who have gained a place in the Event may transfer their place in the Event to another person over the age of 16 via the Active Network system, subject to the person who is taking the place providing all relevant information in order to validly enter the Event and agreeing to these terms and conditions. 1.7 By submitting an application, the Entrant is warranting to the Event Organiser that they are in a suitable state of health to participate in the Event. It is the responsibility of the Entrant to seek medical advice prior to submitting an application or participating in the Event. 1.8 By submitting an application, the Entrant is acknowledging that they are aware that the Event may be photographed, filmed or broadcast by the Event Organiser and/or third parties. The Entrant consents to the Event Organiser using such photos/film in connection with the reporting of the Event and/or for promotion of any future events in any way in which it sees fit. 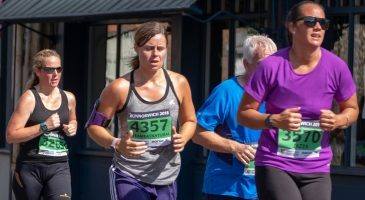 1.9 By submitting an application for a Charity Place (by indicating as such on the online entry form), the Entrant commits to fundraising a minimum of £100 for their chosen Official Race Charity. The entrant’s Charity Place will only be activated once the committed £100 has been raised for their chosen Official Race Charity. In the event that the Entrant has not raised a minimum of £25 on their chosen fundraising platform by the 31st May 2019, the Entrant’s Entry will be cancelled. 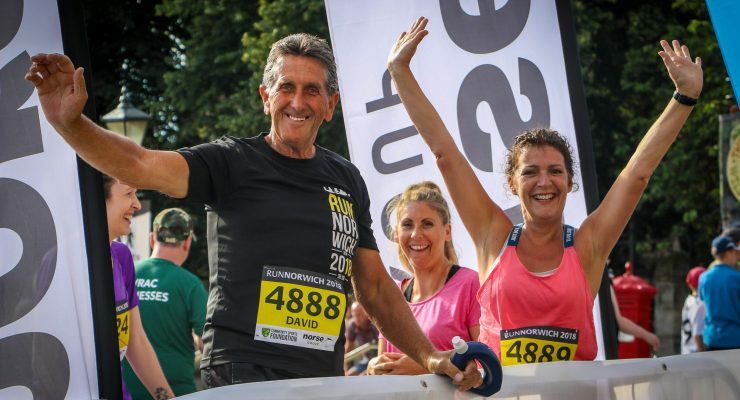 In the event that the Entrant has not raised a minimum of £100 on their chosen fundraising platform by the 19th July 2019, the Entrant shall be obliged to pay the difference between their fundraising total and the £100 in order to activate the Entrant’s race entry for the Event. Acceptance of evidence of fundraising is at the discretion of the relevant Official Race Charity. Failure by the Entrant to pay any such sum under this clause shall result in the Entrant forfeiting their place in the Event. 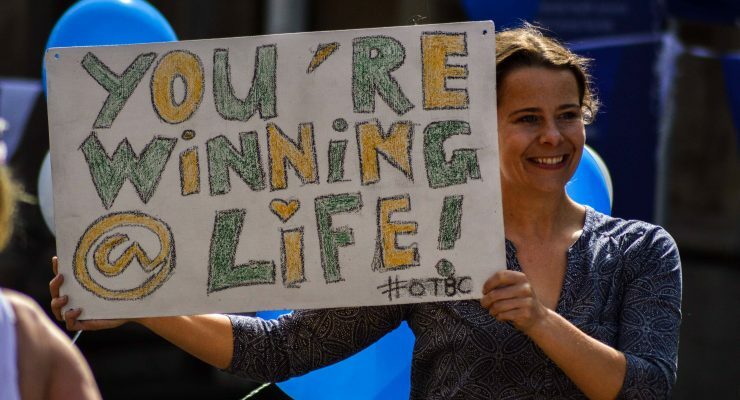 1.10 Entrants that collect their Event Pack from The Forum Expo between (9am – 6pm) on Friday 19th July 2019 and (9am – 4pm) on Saturday 20th July 2019 will automatically be entered into the Golden Ticket competition. Ten of the Event Packs that are collected at The Forum will contain a Golden Ticket. An Entrant whose Event Pack contains a certified Golden Ticket will receive a range of prizes. The prize is non transferable and has no cash value. Entrants have the option to have their Event Pack posted to them, but by doing so they will be ineligible for the Golden Ticket competition. 1.11 The Event Organiser reserves the right to decline your request to register and participate in the Event. Your entitlement to participate depends on the Event Organiser being satisfied that there are no circumstances under which it ought to properly decline your participation in the Event. The Event Organiser’s decision on your participation shall be final and binding. In any circumstances where the Event Organiser decides that you may not participate in the Event your registration fee will be refunded to you in full. 2.1 Entrants for the Event shall be required to make a payment of either £26 (non-affiliated Entrants) OR £24 (Entrants affiliated to UK Athletics Club) as an entrance fee to the Event (“Event Fee”), unless submitting an application for a Charity Place. Charity Places are subject to the provisions of clause 1.9. 2.2 In addition to the Event Fee, Entrants will be required to pay an online registration fee to Active Network of £1 per transaction, plus the equivalent to 6% of the total transaction including any merchandise or additional purchases. 2.3 Once an Entrant has been awarded a place in the Event, the Event Fee shall become non-refundable save for the Event Organiser who shall be entitled to refund the Event Fee in exceptional circumstances. 2.4 £3.50 from each Event Fee shall go to the Norwich City Community Sports Foundation. 3.1 At all times during the Event, Entrants must adhere to all instructions given by the Event Officials. (c) it deems that Entrant is unfit to participate in the Event due to either illness or injury (without accepting responsibility for ensuring that the Entrant is fit to participate), or if they are under the influence of drugs or alcohol. (d) The Entrant fails to arrive at the start location at the required time as set out on the Event website and in the Event Pack. 3.5 In the event that the Event Organiser refuses permission for an Entrant to participate in the Event, the Entrant must co-operate with the instruction of Event Officials in relation to their withdrawal from the Event. 3.6 All Entrants are required to complete the contact and medical details on the back of their race number. This is a requirement of participation and may be checked by Event Officials prior to the start. 3.7 Entrants must not cover their race number with outer clothing when running as this may invalidate the timing chip. 4.1 Any cancellation of an entry once it has been confirmed as successful shall not entitle the Entrant to a refund of the Event Fee save for exceptional circumstances, as decided by the Event Organiser. (b) the Event Organiser deems, in its reasonable opinion, that the Event should be cancelled/rearranged. 4.3.1 it shall endeavour to contact all Entrants as soon as is reasonably practicable to inform them of the cancellation. 4.3.2 Entrants shall receive the option to participate in a rearranged Event (should such rearranged Event be organised) or to receive a refund of the applicable Event Fee. 4.3.3 The Event Organiser shall have no liability for any costs incurred in relation to the Event including but not limited to any costs of travel or accommodation or any donations/pledges. 4.4 The Event Organiser shall be entitled to amend any detail of the Event at its own discretion, without any liability to Entrants. Upon submitting an application to the Event, the Entrant will supply Personal Information to Active Network. This Personal Information will be passed to the Event Organiser. In the event that an Entrant has indicated that he/she intends to participate in the Event for their chosen Official Race Charity, the Personal Information of such Entrant shall also be passed to their chosen Official Race Charity in order for the charity to contact such Entrant. 5.1 Medical information may be used to allow medical assistance to be given to Entrants. 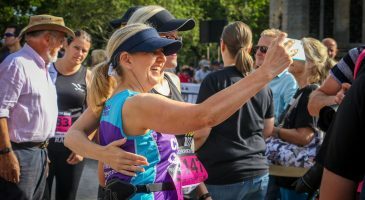 5.2 Entrants agree that the Medical and/or Personal Information relating to them can be stored, used by the Event Organiser and partners in connection with the organisation, staging and administration of the Event. 5.3 Entrants agree that the Personal Information relating to them may be used by the Event Organiser in connection with the compilation of statistical information. 5.4.3 promotional and marketing material in respect of similar events, other community based activities or local attractions organised by our Event Partners or carefully selected third parties (together the “Marketing Information”). 5.5 Entrants agree that the Personal Information may be used by Epic Action Imagery for the purpose of matching any photos taken during the Event to each Entrant (“Permitted Purpose”). Epic Action Imagery shall delete such Personal Information following completion of the Permitted Purpose. 5.6 Entrants shall be entitled to refuse/remove consent for the Event Organiser or the Event Partners using the Marketing/Personal/Medical Information other than for purposes related to participation in the Event by emailing [email protected], or clicking an unsubscribe link in any Marketing Information. 6.1.8 consequential or indirect loss, regardless of whether the loss or damage:(a) would arise in the ordinary course of events;(b) is reasonably foreseeable; or(c) is in the contemplation of the parties, or otherwise. 6.2 Nothing in these Entry Conditions shall affect the Event Organiser’s liability for death or personal injury, fraud, or any other liability to the extent it cannot be excluded or limited by law. 7.1 These Entry Conditions shall be governed by English law. 7.2 If any provision of these Entry Conditions is invalid or unenforceable, in whole or in part, the validity of the remainder shall not be affected. "The event gets better and better every year. I can't recommend it enough."